We started the Swinford Amenity Park wall project in November 2015. 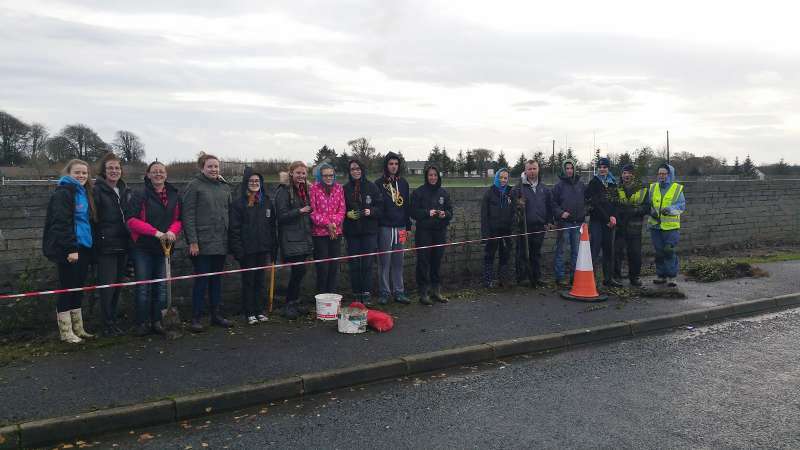 The planting was undertaken between Swinford Amenity park committee, Swinford Scouts, Swinford/Killasser Ladies Gaelic football club and Swinford Tidy Towns. 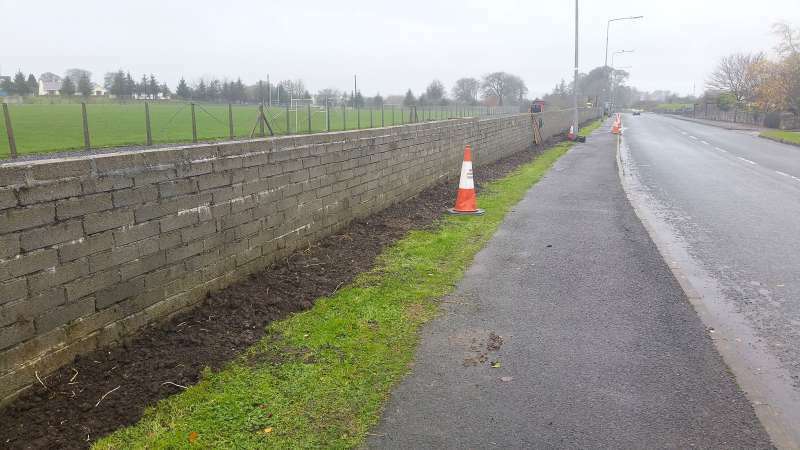 The Swinford Amenity Park wall project began in October 2015. In Swinford’s National Tidy Towns report which was published in the previous month in September, it was noted by the Adjudicator that maybe there could be something done along the wall. The Swinford Amenity Park is a wonderful community facility. Planting a hedgerows or creepers along the long stretch of concrete wall would soften the bare look near the entrance. Swinford Amenity Park committee approached the Tidy Towns committee to see what could be done to improve the area visually. A detailed plan was drawn up (thanks to Theresa and Phillip). There has been a huge amount of work done on the Amenity Park and facilities in recent years. This is due to the huge amount of work put in by the Amenity Park committee, the various clubs involved and the workers. Great credit is due for all their hard work, its really paying off. The Amenity Park is a great asset for the whole of Swinford community. 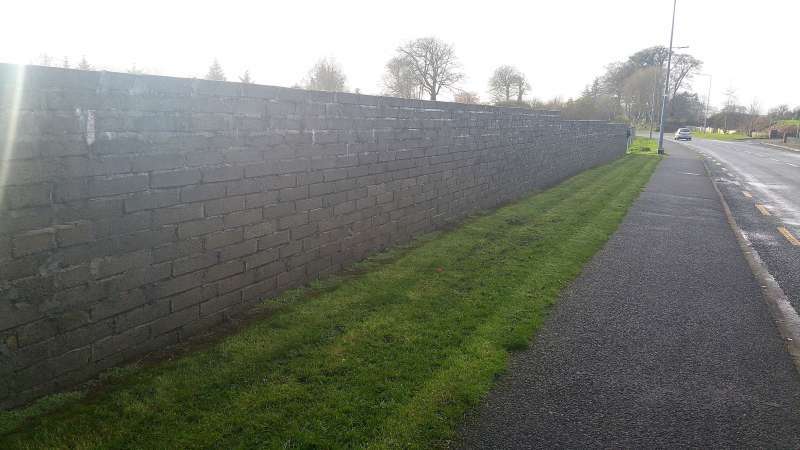 The Swinford Amenity Park wall is about 300 meters long in total. After some research and discussions, it was decided to plant privit hedging. We also decided to plant daffodil bulbs along the entire length of the wall also, to give some early spring colour. Thanks to the RSS scheme workers at the Amenity Park who prepared the ground for the planting. It certainly made the project a lot easier! In all there were just under 800 privit hedging plants planted on the day. We also planted nearly 2,000 daffodil bulbs along the base of the hedging.